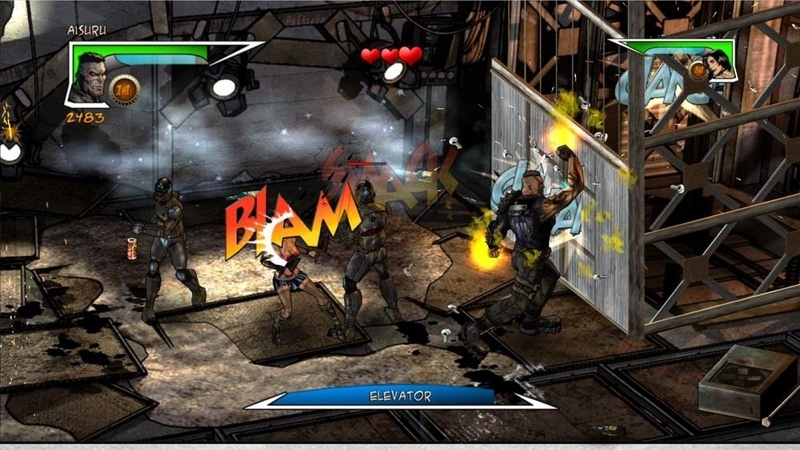 Go between the panels of Unbound Saga, the smashtastic comic book brawler now available from Vogster Entertainment! In this episode, anti-hero protagonist Rick Ajax unloads his frustrations about The Maker, the mysterious giant hand that has been drawing him into ridiculous comic book scenarios for the past 30 years. If its not some crazy misadventure, it's some over-the-top nonsense in need of a smackdown. Sure, he's more than able to handle such conflict, but enough is enough already. Go between the panels of Unbound Saga, the smashtastic comic book brawler now available from Vogster Entertainment! 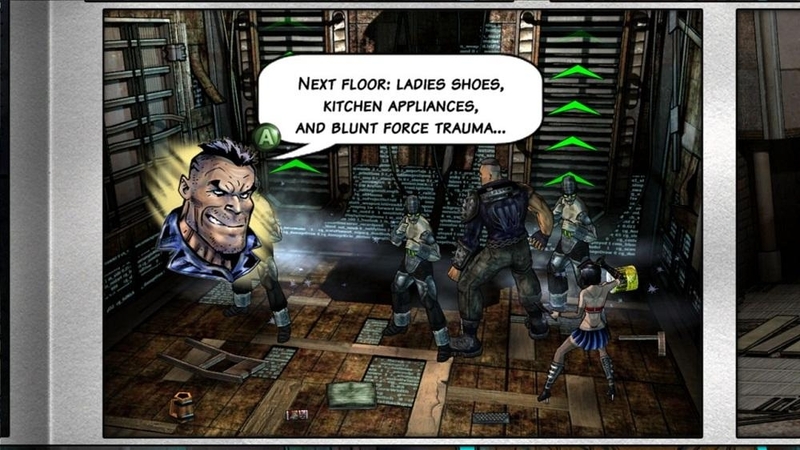 Join anti-hero protagonist Rick Ajax as he introduces you to the world of Toxopolis and the various dangers that lurk around every corner of his twisted daily life. Life as a comic book tough guy ain't easy, and he's here to show you just what sorta nonsense he's gotta deal with every month! Get into the holiday spirit with these Gamer Pics featuring Rick Ajax and Lori Machete from UNBOUND SAGA! 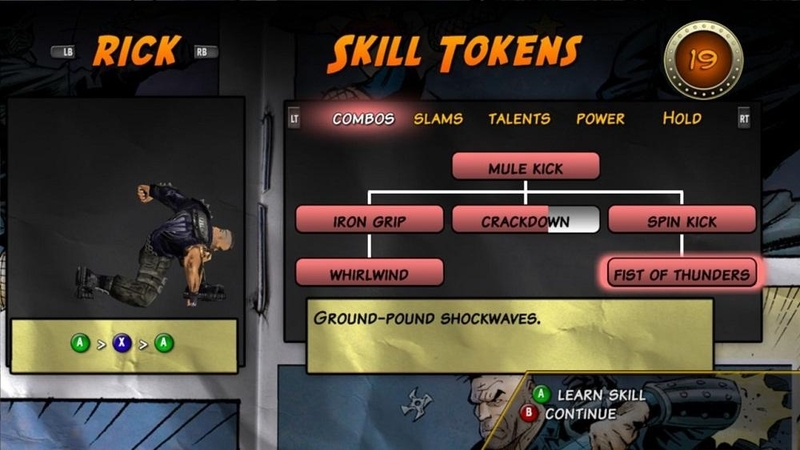 Dress up your dashboard for the holiday season with this wintery Premium Theme based on UNBOUND SAGA, the smashtastic arcade brawler featuring comic anit-heroes Rick Ajax and Lori Machete! Invite the unhinged heroes of Unbound Saga into your Gamer Profile with this set of Gamer Pictures. 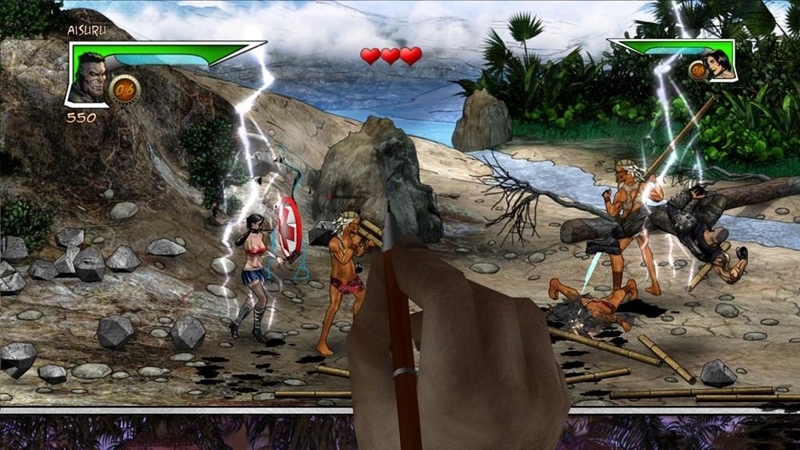 Unbound Saga is a 3D side-scrolling brawler set in a satirical comic book universe, where enemies are drawn onto the screen and madcap battles travel from panel to panel through a twisted, post-apocalyptic landscape – break off a weapon and RAGE OFF THE PAGE! 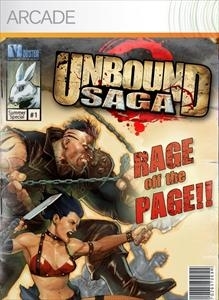 Bring the comic book mayhem of Unbound Saga to your dashboard with this face-pounding Premium Theme. 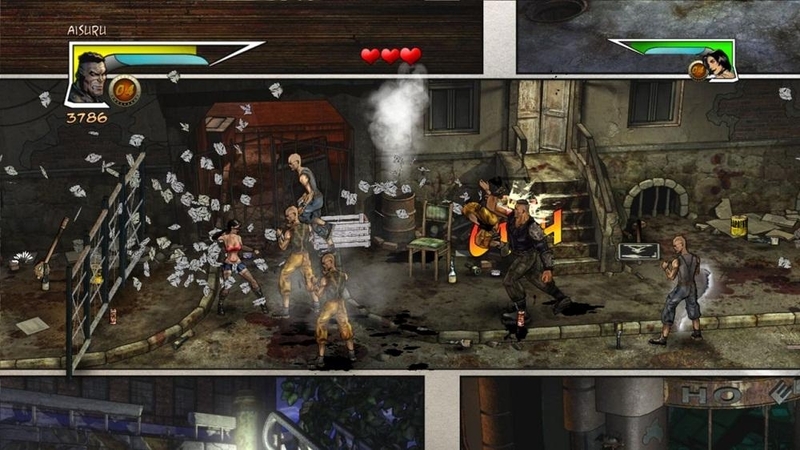 Unbound Saga is a 3D side-scrolling brawler set in a satirical comic book universe, where enemies are drawn onto the screen and madcap battles travel from panel to panel through a twisted, post-apocalyptic landscape – break off a weapon and RAGE OFF THE PAGE! Give your Gamer Profile a fresh - and slightly insane - new look with this set of Gamer Pictures featuring villains from Unbound Saga. 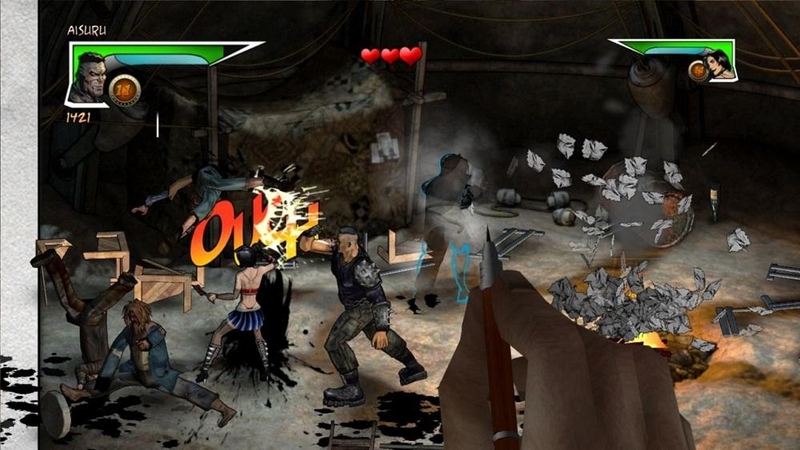 Unbound Saga is a 3D side-scrolling brawler set in a satirical comic book universe, where enemies are drawn onto the screen and madcap battles travel from panel to panel through a twisted, post-apocalyptic landscape – break off a weapon and RAGE OFF THE PAGE! 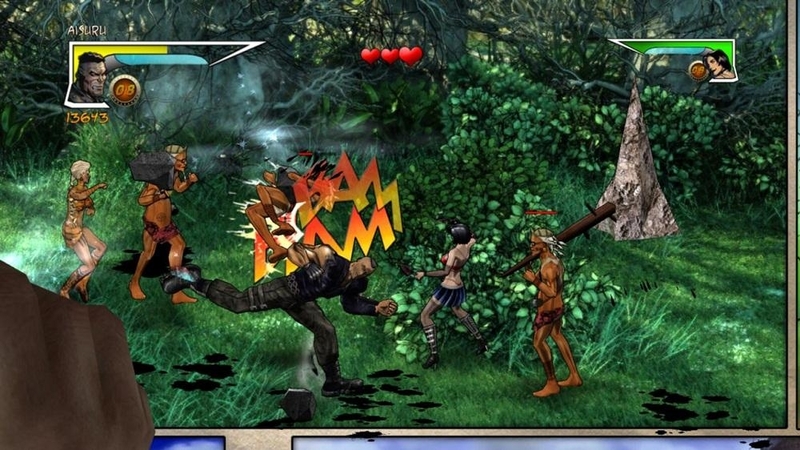 Unbound Saga is a 3D side-scrolling brawler set in a satirical comic book universe, where enemies are drawn onto the screen and madcap battles travel from panel to panel through a twisted, post-apocalyptic landscape – break off a weapon and RAGE OFF THE PAGE!